We’ve received so many community requests for a bundle featuring both modern, professional resources and more creative, artistic resources. This HUGE collection brings you the best of both worlds, giving you incredible quality, ultimate variety and a library of amazing items that will benefit your design career for years to come. After listening hard to the Design Cuts community, we keep hearing how artistic design resources are what you want, and modern design resources are what you need. That is to say, artistic resources are a ton of fun to work with, but often our client and professional work calls for more modern resources. This vast collection brings you the best of both worlds – featuring thousands of best-selling, world class resources, both on the modern and artistic side of the spectrum. I can’t stress enough how fantastic the quality is in this collection. We’ve literally spent months sourcing these amazing items, and then negotiating 97% off the regular price for our wonderful community. This bundle brings you quality and value like never before! These items are seriously comprehensive, and they are all best-sellers at regular price. Take Go Media’s Freelance Survival Kit for example; it’s one of their most popular items, giving you a complete toolkit to progress your design career. It includes everything from invaluable guides on billing, legal issues, social media and business, to useful client contract templates, project outline guides, and a TON of valuable creative extras. The wider design community love this pack, and it’s extremely popular at it’s regular price of $99. We’ve snagged the entire pack for you guys, and that’s only around 1/10th of what’s included in this huge collection! There is also the much sought after, beautifully crafted, Gentleman font family, usually available for $250. 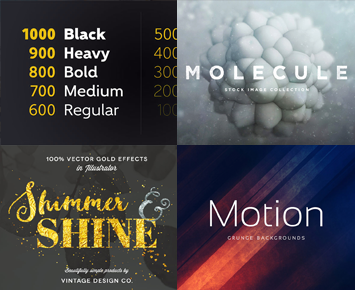 That’s just one of 5 gorgeous, professional font families included in this bundle. Combine these items with thousands of other world-class, professional design resources, slash the price by 97%, and you have a truly special opportunity for any dedicated designer. 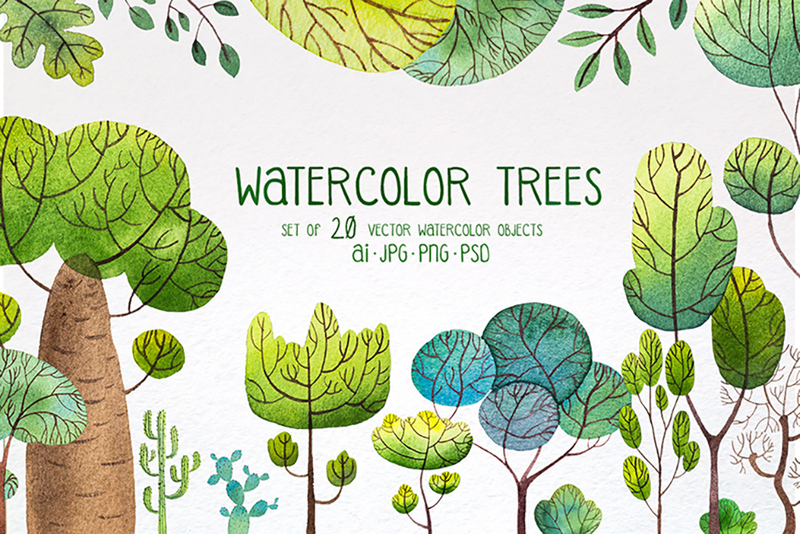 This bundle brings you the best of both modern and artistic resources. We’ve included best-selling font families, clean vectors, backgrounds, textures, graphics, effects packs, mockup templates, infographic packs, freelancing kits and so much more! This collection will benefit you from years to come, and have a drastic, positive impact upon your regular design work. At just $29 this is the best value investment you’ll make for your design career all year! As always this bundle includes full web fonts, our usual extended license and more creative extras than you can shake a stick at. We focused on packing this bundle with quality, variety and value. Most of these items don’t offer an extended license anywhere else, making this bundle even more valuable for you as a creative. Check out all of the amazing items included in this collection. We definitely recommend scrolling down this entire page, as this is the best way to see just how much value is included. 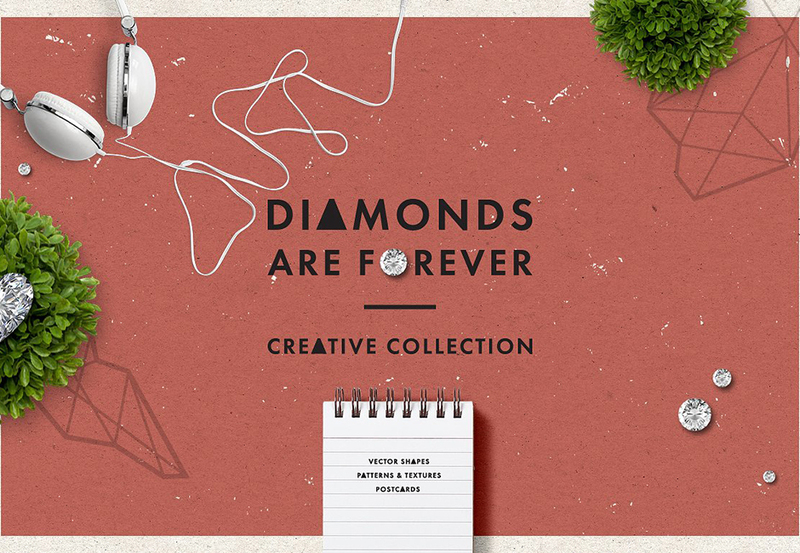 We hope that you’ll love this collection as much as we do! Gentleman font is a sans-serif font family of 10 weights – from hairline to black. It is a legible typeface with clear geometry and spiced with nice humanist terminals enhancing its identity. We think the name “Gentleman” works perfectly for this family because of its beautiful outlines and elegant letter forms. At the same time its looking tight, compact and has its very own presence. Gentleman is surely a good choice both for screen applications and print media. We are really exited to introduce you to one of the biggest collections of stylish, flat line illustrations. All symbols are created in a uniform style and ready to use for your project. Please welcome our first bundle of modern, flatty icons. All symbols are created in a uniform style and ready to use for your design project. We really hope that you will enjoy the product. Freelance Graphic Design Tools for those serious about launching and running their own thriving design business. Being a one-person show can be rough, especially when you’re just getting started. That’s why we’ve crafted a product specifically for those hungry to learn the tools of the trade. From expert advice on billing clients, legitimizing your business, making money as a freelance designer and becoming a social media powerhouse, all the way to popular arsenal products like vectors, templates and tutorials — this kit is packed with quality stuff! Need the perfect Apple© product mockup? Then look no further. 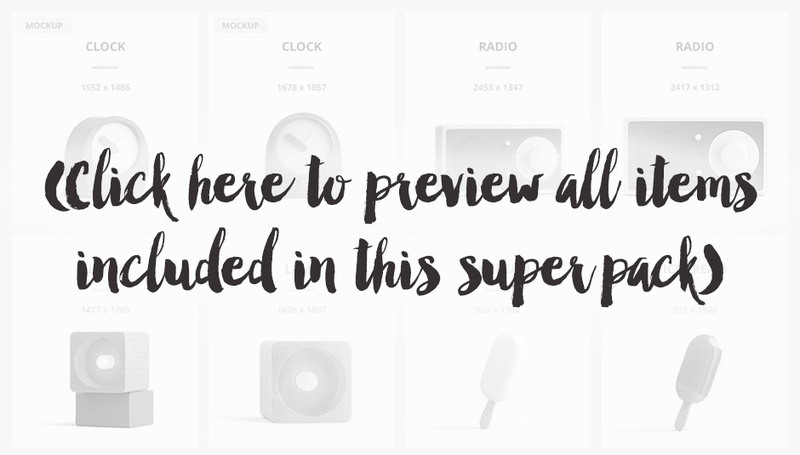 This is the biggest, most up to date iMockup bundle yet with tons and tons of devices, angles and features. • 57 different device renders, of all brand new Apple© devices, modeled and rendered in amazing high quality. (300 ppi and pixel perfect image sizes). • All devices have been designed with real sizes and real screen resolutions. • All devices separated PSD files. • Fully layered shadows and screen reflections. • Drag & Drop Showcase Generators. Maybe the best thing about this package. There are two generator PSD files (“Simple Showcase Generator” and “Studio Showcase Generator”) The simple one offers plain background and shadow options, but the studio generator is truly amazing. You can drag & drop any device, and then replace the screen in seconds You can create your own backgrounds, or even your own environments. Light setups add a photorealistic scene. • All new, unique device photos, you won’t find anywhere else in this variety and high quality. • Say no to layer chaos! When you use ready made showcases or generators you’ll see just one smart object layer for each devices. so moving, scaling, rotating or applying effects is super easy. 12 city outdoor mockups for advertising your designs. Billboards, city light posters, mega lights, walls etc. – whichever outdoor advertising space you need – it’s in this bundle. All PSD files are fully layered and well organized. You can play with reflections, shadows and overlay textures. If you’ve been looking for a professional outdoor advertising mockup, this is exactly what you need. • Ready made light setup for more realistic results. This pack lets you create awesome magazine mock ups. You can choose the view and proportion within the file, and then replace the mockup with your design. On top of that you can and also change the background textures. There are 17 ready made background textures, but you can also insert your own textures. Software requirements: Works great with Adobe Photoshop CC. Lower versions may have some issues because of ” Liquify ” effect. From the top? – No. From the front? – No. Are you bored of the same old angle mock up files? if so, then this all new scene generator is here to help you! This isometric mock up scene generator lets you move all the items in 3D perspective, and is absolutely photorealistic, so you can chose the view and layout of your mockups and designs. This files include art equipments and some compositions for painting or drawing styles. Drag & Drop items and get limitless options. With this scene generator the design whorld is literally your oyster. • Tons of organised and layered art equipment photos that taken from isometric angles. • 15 ready made PSD files for easy starting or getting some inspirations. • 25 ground textures for isometric stages. • Unique and original items for awesome presentations. • Apple Macbook Pro, iPad Air 2 and iPhone 6 Plus screen mock ups. Nabila is a bold, playful, modern, and multi-purpose typeface that combines brush lettering with natural handwriting. It is suitable for logo, packaging, headline, poster, t-shirt design, and much much more. 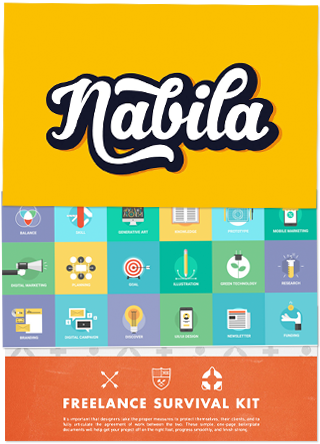 With 350 glyphs and 155 alternative characters, you can mix and match Nabila to fit your design. The alternative characters are divided into several OpenType features such as ligatures, contextual alternates, stylistic alternates, stylistic sets, and swashes. It can be accessed by using any OpenType savvy program. Steady is a script font with personality. It was designed as a display typeface. It contains 315 glyphs and 126 alternative characters to improve your design. The flowing characters are ideal to make an attractive message. Mix and match Steady with a bunch of alternative characters to fit your project. The alternative characters are divided into several OpenType features such as ligatures, contextual alternates, stylistic alternates, stylistic sets, and swashes, and can be accessed by using any OpenType savvy program. Introducing ‘Food Typography Kit’ for Photoshop CS6+! A set of 6 delicious photoshop actions to make any font look good enough to eat! Includes 6 layered food scenes (as shown in the preview images – 2400×1600 @ 72ppi), as well as bonus grainy, floury and drippy brushes to get messy with! You’ll receive an actions file (.atn), layer styles file (.asl), brushes file (.abr), 6 PSD files, as well as a pdf help guide. These backgrounds are amazing for your web and graphic design projects. I wanted to create a set of scenes that would make a designer’s life easier. A set so versatile, and of such high quality, you can use just about anywhere. So I’ve created the Fancy Items Scene Generator. Need to make an infographic? Fast and easy? With low budget? Look no further! 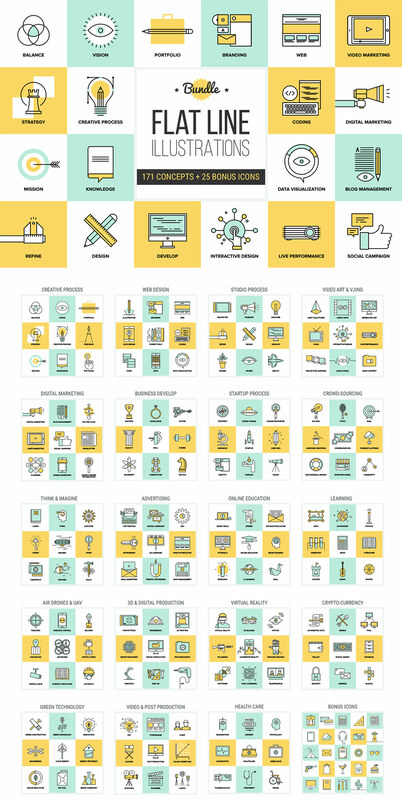 Now you can get tons of best selling infographic elements with hundreds of stunning vectors and templates to help you get your design projects ready and polished in minutes. Fully editable vector files saved as EPS10 and AI CS6, rescalable to any size. The text areas are editable in .ai files, but not in .eps files. However you can easily add new text areas. Software requirements: Adobe Illustrator or other software that can handle EPS10 vector files. This collection of geometric image masks and outline shapes provides a quick, simple and effective way for creating artwork when combined with photographs or other images. Just place the white masks and geometric shapes above your photographs or other images. The Photoshop template supplied contains a variety of elements and individual layers, which can be toggled on and off. By placing your photos or images on the bottom layer, you can create a lots of different effects, quickly and easily. Combine the different masks and shapes to create unique geometric patterns. • Photoshop template with 22 elements each on separate layers. 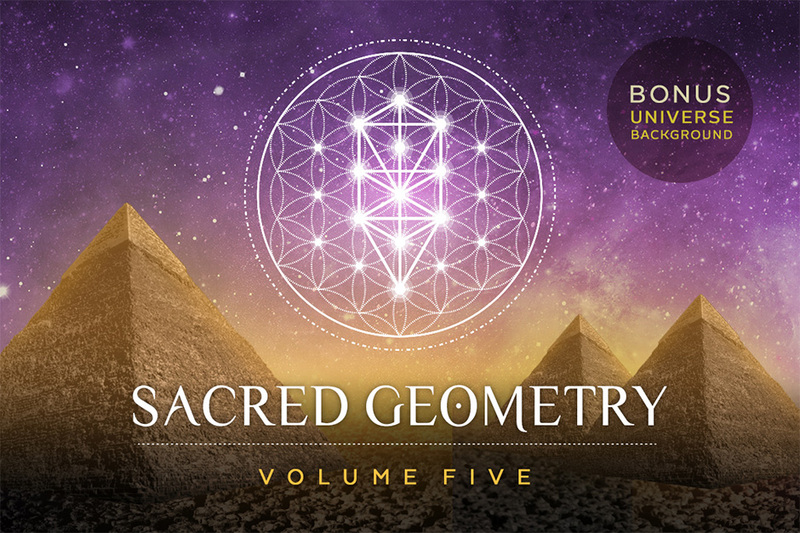 • 25 white geometric image masks supplied as transparent PNG files. • 25 white geometric outline shapes supplied as transparent PNG files. • 2 PDF reference guides which contain visuals of all of the individual PNG files supplied, together with their file names. • I’ve also included a layered TIFF file for anyone who may have very old versions of Photoshop or other applications that support layered TIFF documents. A collection of 30 image masks and textures provides a quick, simple and effective way for creating artwork when combined with photographs or other images. All of these masks and textures have been individually created and are exclusive to this collection. Just place the white masks or textures above your photographs or other images. The Photoshop template supplied contains all 30 elements as individual layers, which can be toggled on and off. By placing your photos or images on the bottom layer, you can create a variety of different effects by combining elements together. Combine the masks with the various textures supplied to create unique art print effects. Alter the opacity settings of layers to produce more subtle combinations or keep things simple and just incorporate individual elements. Or paste the individual masks and textures into your own documents that support transparent PNG files such as Photoshop, Illustrator, Indesign etc. • 10 white image masks supplied as transparent PNG files. • 10 white surface textures supplied as transparent PNG files. • 5 white textured borders supplied as transparent PNG files. • 5 white abstract textures supplied as transparent PNG files. • A layered Photoshop template with all 30 elements on separate layers. • Plus a high resolution PDF Reference Guide which contains visuals of all of the individual elements together with their file names. This collection contains 18 hi-res abstract images, perfect to be used as backgrounds, textures or overlays in your modern/ futuristic design projects. Their organic structures resemble volcanic rock formations. Molecule is a collection of 18 hi-res images, perfect to be used as backgrounds, textures or overlays in your modern/ futuristic design projects. It’s amazing how we humans perceive scale. A single word can cause a paradox change. Let’s take this collection for example. What if the collection were called Ghostly Planets instead of Molecule? The scale would reverse and the images would be on a scale so huge it’s hard to even imagine. 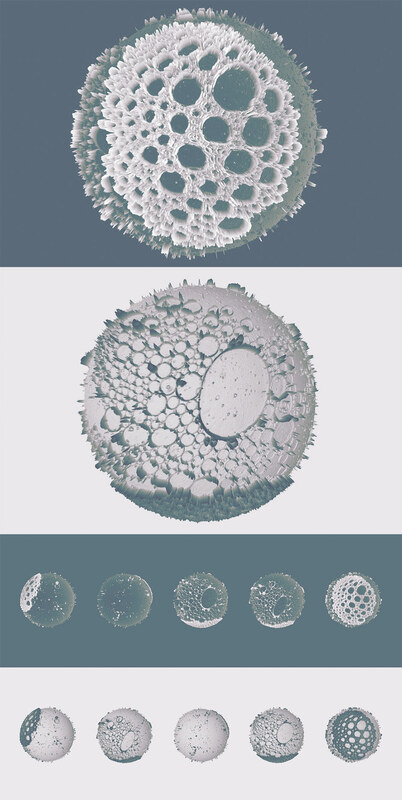 Lunar is a set of 10 hi-res images evocative of a moon with detailed texture. These images are perfect to be used as backgrounds, textures or overlays in your modern/ futuristic design projects. We were down in Miami this week for Art Basel. After looking at as much art as is humanly possible within a 72-hour period my mind is still spinning with colour, paint and texture. Now looking at these vibrant images in Synth I can’t help but notice their handmade feel – reminiscent of watercolour, stained glass and dyed fabric. Each image is beautiful from a distance as a whole and the high quality allows you to zoom in for endless compositions. Play with cropping to appreciate the vast possibilities in these beauties. We love these grainy, unique 3D-inspired images, and will make you feel like you’ve left planet Earth. 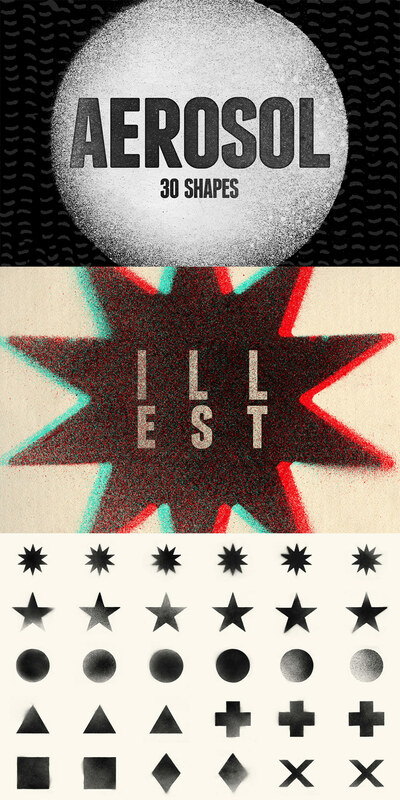 They’re super high contrast so they also look amazing when inverted. Whether you’re a graffiti artist or not, you can bring the gritty, urban textures of the spray can into your designs. An awesome set to have on hand for when you want it. The images are super high res so they’re great for badges, logos, patterns, texture overlays, etc. Watercolour is one of my favourite materials. The paint is unpredictable and challenging to use. The inconsistencies are what make the results so beautiful. Our goal with this project was to combine the imperfect nature of watercolour with basic shapes that designers can use over and over in their work. We wanted to maintain clean edges while letting the material show it’s beauty within those edges. It was time-consuming, but a total labour of love. Hopefully you enjoy working with the results as much as I enjoyed creating the elements for you. The world of fonts is experiencing exciting times right now, with so many amazing designers making their mark with new typefaces. Now let’s nerd out on fonts for a minute, shall we? Giambattista Bodoni designed the Bodoni typeface in 1798 (most likely with a brush and ink). Over a century later, Chauncey H. Griffith created Poster Bodoni for none other than… Posters! We’ve gone old school to suit the style of Poster Bodoni and created the entire font in watercolour by hand. Includes a collection of 48 handmade font characters (including all letters, numbers and the most critical symbols). Please note: this is not a traditional font that you can type with, but rather a collection of artistic lettering that you can use for custom lettering projects. Roselina is a contemporary calligraphy inspired typeface, with a vintage feel. The moving baseline give this font an elegant touch. Features 417+ glyphs and 183 alternate character. Including initial and terminal letters, alternates, ligatures and multiple language support. Using the technology behind my best selling product AquaType, I’ve managed to achieve realistic gold effects in vector format. All you have to do is choose 1 of the 18 Gold or Silver textures, click play and you’re done. It’s literally that easy. The effect also adds inconsistent edges to the type, like you would get when gold leaf ruffles at the sides. At the same time it adds a hand written look to any font, which can be easily turned off if you’re already working with hand drawn type. Software requirements: Adobe Illustrator CS 3/4/5/6 and CC 2014 only. Will NOT work in Photoshop or CorelDraw. Design can do without images, but not without typefaces. Libertad is a sans-serif typeface that mixes humanist and grotesk models. It’s most interesting feature is the combination of balanced regulars with dynamic italics, which makes it a very versatile font for different uses. This typeface follows the Luc(as) de Groot’s Interpolation Theory, that’s why it has seven specially-calculated weights plus their matching italics, from thin to extra-bold. This allows it to be useful in big headlines and also small texts. It has more than 800 characters per weight and support for more than 70 languages. This bundle includes thousands of modern and artistic resources, including 5 best-selling fonts, effects packs, infographics, freelancing guides, icons, clean vectors, textures/backgrounds, graphics, mockup templates and more! We've focused on quality and usefulness with this bundle. These items are hugely popular at full price, and this bundle provides a comprehensive library of modern and creative items, that should benefit you for years to come. File size is approx 29GB (split into 43 smaller parts) for easier download. A single download option is also available. Please note that this is a particularly large bundle. A pdf guide has also been provided for easy browsing of your download parts and overall bundle. Is there any way to still get this? Oh my goodness I love and need this! Can I purchase any of these separately since it’s expired? Thanks so much for your comment on this one! I am so sorry that I cant set you up with this but i would definitely recommend checking out our Marketplace to see if any of the separate items are in there for you! Our Marketplace also lets you save up to 50% off the total price of your purchase if you buy 5 or more items so you can still grab a bargain :). If you aren’t seeing the items you are after though, please do pop me an email and i can work on getting them featured for you! I am so sorry that you havent heard back from us on this one. As this bundle expired quite some time ago, your comment unfortunately got lost on us so my sincere apologies- please always do pop us an email as well if you have a query! This bundle had expired quite a while when you did comment so it has not been available for you. However I would recommend checking out our marketplace here: http://bit.ly/1UMxznv as a lot of our best selling resources from our older bundles get added and you have the option of saving up to 50% on your Marketplace purchases! I hope this helps, and please don’t hesitate to contact me should you have any other questions. I need this. Can you help me please? Will it be available again soon ? Thank you so much for getting in touch, I’m really sorry but I’m afraid that this deal has now completed expired and, with our new marketplace up and running, we will no longer be re-running our previous bundles. I am so sorry for this inconvenience. Apologies again, Marie. If you have any other questions or if there is ever anything else I could assist you with please do get in touch. I’m always happy to help! “Food Typography Actions” for PSD – now for Photoshop CS3+! Will you update it via the Account –> Downloads-Page? Thank you so much for reaching out to us and for bringing this to our attention! I can absolutely contact the designer for you and find out if it is possible for us to get an update! If they are able to provide me with it, rest assured I will notify you of this :). I also would like to have an extra chance grabbing this bundle 🙂 thanks in advance! Thanks for the comment on this one! I am afraid that this is one of our older deals now and has finished quite a while! I am so sorry- I won’t be able to set you up with this. However, sometimes we do re-run an older deal as a special bonus, in conjunction with a new deal. The best way to ensure that you don’t miss a deal is to join our free newsletter, by signing up at http://www.designcuts.com. I am so bummed I forget to check back an get this package :(. So many fabulous parts to it… Lesson learned… when I find a package I’m in LOVE with I need to act fast. If I am lucky, it will present itself again. Thank you for getting in touch! I’m so sorry to hear that you missed out on the Modern, Creative Design Bundle. I’m afraid that the deal is now completely expired so I won’t be able to set you up with this right now. I hope this helps! If there is ever anything I could assist you with please do get in touch. I’m always happy to lend a hand! Please, add me to the master list for this bundle too. It’s amaizing!! If this bundle will live again, i would know about it. Thanks for commenting back to Ben on this one! We are so pleased that you love the look of this one! Don’t worry- I have added you to the master list and rest assured, if this one comes round again, either myself or Ben shall be in touch :). Couldn’t find the download link to Bloomua. Please help. Thanks so much for contacting us, I am so sorry about this but rest assured, I can certainly help you out with this. I have sent you over a quick email to investigate this further, I hope it helps! I have sent you a quick email to help out with this! Please don’t hesitate to contact me should you have any other questions. I’m always happy to lend a hand! Awesome pack, shame I didn’t know about it before. Is it possible to get it somehow? The Modern, Creative Design Bundle is now well and truly finished, so I won’t be able to set you up with this. However, sometimes we do re-run an older deal as a special bonus, in conjunction with a new deal. The best way to ensure that you don’t miss a deal is to join our free newsletter, by signing up at http://www.designcuts.com. My Downloads page references this as a “this weeks only” link but when you arrive at this page its expired. designer’s permissions for their resources. do this, I would really appreciate it! Anyway to still get this deal? Pretty please! Thanks for commenting on this deal! I am really sorry but I’m afraid that the Modern Creative Design deal is now well and truly finished, so I won’t be able to set you up with this. However, sometimes we do re-run an older deal as a special bonus, in conjunction with a new deal. The best way to ensure that you don’t miss a deal is to join our free newsletter, by signing up at http://www.designcuts.com. Hello Ms. Sweeney, I also missed the Moden Creative Design deal, but I am really intereted in it. Could you please kindly let me know if this bundle will be live again? I am really sorry but I’m afraid that the Modern, Creative Design Bundle. deal is now well and truly finished, so I won’t be able to set you up with this. However, sometimes we do re-run an older deal as a special bonus, in conjunction with a new deal. The best way to ensure that you don’t miss a deal is to join our free newsletter, by signing up at http://www.designcuts.com. Can you guys offer this one again? Thank you so much for getting in touch. I am really sorry but I’m afraid that the Modern, Creative Design deal is now well and truly finished, so I won’t be able to set you up with this. However, sometimes we do re-run an older deal as a special bonus, in conjunction with a new deal so I can certainly keep you updated if we were ever to re-release this deal. I hope this helps, and please don’t hesitate to contact me if there was ever anything else I can help you with. Thanks for the comment- i am so sorry that you are having difficulty in locating Bloomua’s resources. If you check your account page, it is the third link from the bottom. I have also popped you over an email with a direct link to Bloomua’s resources which should help :). will this deal be back on anytime soon? I cannot 100% confirm that this will be re- run again soon unfortunately but it was a really popular deal and a lot of community members are still asking for it so i will bring it to the attention of Tom! Hopefully that will bring it around again soon! Im the meantime, i have added you to the master list En which just ensures that i will definitely be in touch if it goes live again so you dont miss out! I hope this helps, and please don’t hesitate to contact me should you have any other questions. I just saw this on Behance! I can’t believe I missed this deal. Is there any way to get it? Thanks for the comment on this bundle! I am so sorry but this deal has now expired but we have had a lot of people still requesting it and sometimes we do re-run an older deal as a special bonus, in conjunction with a new deal. The best way to ensure that you don’t miss a deal is to join our free newsletter, by signing up at http://www.designcuts.com. I’ve added you to the master list for this deal and I’ll be sure to drop you an email if this bundle is live again. Is there any way I can get this bundle now? Thanks for the comment! I am afraid that this bundle has now finished so i am unable to set you up with this one. However it was really popular and we have a lot of people asking after it so I am hoping it will be re- run in conjunction with one of our new bundles in the not so distant future :). I have added you to the master list for the deal so if it goes live again, i will definitely pop you an email to let you know! I hope this helps, and please don’t hesitate to contact me should you have any other questions. So…I saw this on Behance and am hooked. Please tell me I can still have access to this before I pass out from “snooze you lose”ness. I’m afraid the bundle has expired, but I’ve done some research and according to Google “snooze you lose”ness is a curable condition :). I have sent you an email with DC’s recommended remedies for the future. Don’t fret Rachel, we’re here to help :). Hiya… I have just been back on to purchase this deal package but it says that its run out!! Oh no, is there any way I can still purchase this? Thanks for your comment, I’m afraid this bundle has expired but I’m sending you over an email to help :). I’m really sorry you missed out on this deal but fear not, I’ve popped you over an email that should turn that frown upside down :). just saw this expired deal through behance.net and i want this bundle. Is there any chance i can purchase it deal price? Thank you for commenting! Sorry to hear you missed out on this deal, I have sent you over an email that should help you out :). Thanks for your comment, we’re so pleased that you love this bundle. Awesome bundle. It’s already expired? Any chance I can still get this deal? Please help me. Thanks! Thanks for your awesome comment and feedback on your bundle. We are so pleased to hear that you loved it! I’m sorry that you missed it! I have popped you over an email that will hopefully help you out with this :). How many hours did I miss this deal by? I’m pretty devastated that it’s over. Is there any chance I could get a hold and buy this package? Oh no I am so sorry to hear you have been ill- i really hope you are back on the mend! I can definitely help you with this so dust off your knees and if you check your inbox, you should see my mail :). Hi I’m new to this site and this pack is awesome! I missed it too. Is there a way to take part in it??? Thanks for the comment and welcome to the Design Cuts community from the entire team over here! We are so pleased that you have joined us. Our community is made up of an amazing bunch of people (you included!) and we can’t wait to get to know you better. I have popped you over an email about this which should hopefully help Harold :). A great bundle as always. One minor point; if there’s a ‘Download all’ link (as there was for this set of items) can you put it at the top of the list of downloadable files please? I’ve spent ages downloading each item individually on the list only to see the ‘Download all’ link there at the bottom! Thanks for the comment and for the feedback on the bundle! We appreciate your suggestion for placing the Complete Download link at the top of each bundle- I will raise it with the team! Please do send over any other suggestions you have- we love to hear them and will try and utilise them when we can to improve your DC user experience!I hope this helps, and please don’t hesitate to contact me should you have any other questions. I am also having issues unzipping some of these files, and the complete deal file would not download for some reason, not sure why, I’ve never had that happen before. My issue is saying the directory path does not exist… any solutions? Thanks for the comment- i can definitely help with this! I am so sorry that you are having an issue with unzipping some of your files- i have popped you over an email with a fix for this that should get you back working :). Hi! I got an email about this deal this morning on my phone and came to download it at 3pm. It says its the last day but it’s already expired? Any chance I can still get this deal? I figured I’d be able to get it still all day. Yikes, I see now that it must have been right at the end. I just was introduced to this site the other day and had no idea there was a strict timeline on getting the deal. Is there nay chance that this one will be up again in the future? Its exactly what I need for my blossoming freelance career! Welcome Bree to the Design Cuts community from the entire team over here! We are so pleased that you have found us. Our community is made up of an amazing bunch of people (you included!) and we can’t wait to get to know you better. We couldn’t stand in the way of your blossoming career- you should have an email from me which will help :). Thanks for the comment! I am so sorry that you missed out on this one- i have sent you over an email which should help you out :). SOOOOO AMAZING!!!!! I’m super excited about it all!! Thanks for awesome comment! We love how excited you are- it is exactly our own feelings!! We are so pleased you love the bundle and thanks for letting us know- it is very much appreciated! How I can get update for some bundles? 19 May 2015 Version 3 is here: HUGE UPDATE. New possibility. Now you can create dynamic scenes with it. 190+(!) new items added. 7 Premade scenes added. New awesome features. Too many to list, check screenshots. Mockup zone ArtEquipment scene generator get a lot of updates on other sites. If your bundles don’t get updates in future I must think about other store. For now I already bought 5 bundles from your site. I saw some updates, lynotype/Instaglam/… but for me more prefer get updates for scene creators. P.s. Your contact form from Contact page not working…can’t send you this questions, tryed this and previous months few times from different devices. Thanks for the comment. You may have seen recently that we updated our website so we will have an easier method for getting any updates for your bundles- in the past you have had to re- download the bundle but we are working on having an update tab on our website. I will send you an email about the updates you have asked about. Everytime I go to click to buy the deal Im sent to the cart which is empty. I cant seem to be able to make a purchase. Thanks for the comment- I am so sorry to hear you are having a problem purchasing your bundle! Rest assured though, I have sent you over an email to help you out! Another great bundle which I want so badly. You guys do such amazing job collecting, compiling & presenting it; they demand to be owned. I’m sure all the bundles get almost zero bounce rate. I want to know whether this deal is gonna extend for a week longer, please let me know. Am so willing to buy then or if you have support for Debit Cards or netbanking I can do it today. Thanks so much for your lovely comment- you are so kind! I definitely got the bonus points for getting Donna’ movie right :). I have popped you an email about the expired bundle which should help! Nice work on another amazing deal~ Especially the ‘Infographic Elements’ has helped me and a couple of my clients this week. Ps. Just wondering if you guys will have payment in different currency in the future plan? eg. AUS, UK, US etc. Thanks for the lovely comment, we’re so pleased you’re enjoying your bundle! That’s awesome that you’ve been able to use it for your work with your clients! Anything you’re able to share with us? We’d love to have a look :). Thanks for the suggestion on the currency, it’s a popular one and something that we are definitely looking into for the future. Another excellent deal! So great to have modern elements that are useful for both business and “just for fun” projects, and with an extended license! Thanks DC! Thanks for the amazing feedback! I love that the modern resources are getting so much love from you and other members of the community :). Please do feel free to share anything you crete using your new resources Laurie, we would love to see what you are working on! This bundle is amazing! I’m buying it right now. *Just a heads up for others buying, I was approached yesterday by someone that obviously saw my comment on the last bundle I purchased, asking me to send the files to her for free. I refused and let Carol know. Please don’t share with anyone, just beware as this person turned quite nasty after I refused. Some people just don’t respect designers at all. Thanks for the awesome comment on the bundle- we are so pleased you love it :). I know we have been emailing about this but thank you for bringing this to our attention as well- I am so sorry to hear that the person in question then turned nasty. As you said, this directly affects the designer. Thank you again for letting us know Candice! Phew, in the nick of time. Totally forgot about this bundle and quickly grabbed it before it was too late. I’m having a bundle overload with this current and past bundle purchases … I have no idea where to even begin. Thanks DC! This bundle is just sheer awesomeness!! Thanks for the awesome comment and for your purchase! We are so happy you are loving this bundle :). Great to see modern resources in this bundle….which I know are harder to find. Also kudos on the new PDF guide, it’s a huge improvement! Look forward to downloading new guides for the previous bundles I bought. Cheers! Thanks for the awesome feedback! 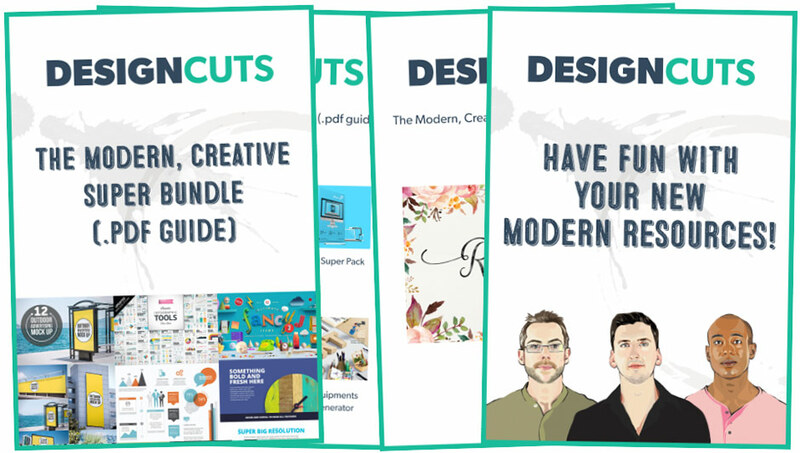 We are so pleased that you are loving the bundle- i think it is a really nice mix of modern and artistic resources and as for the PDF guides- we have been so excited to get these out there and they should be added to the older deals soon for you! Yes! Love this bundle; the infographics, freelance survival kit, outdoor advertising (more please!) and food typography actions – yea!! Different than I’ve been seeing, and needed so MANY THANKS! BTW I couldn’t download the large file either, it wouldn’t extract. But I did do the 43 separate ones and can’t wait to jump in! Thanks for the comment and for the awesome feedback! We are so pleased that you love the resources and it sounds like you will get a tonne of use out of them. If there are any specific outdoor advertising resources you have in mind, please do let me know! I am so sorry to hear you were having an issue unzipping your file- please do contact me directly if you ever have this again and i can definitely help you out! The Freelance Survival Kit alone made this a complete no brainer. I think my head kinda exploded when I saw this. AMAZE!!! How you guys do this is beyond me?! A ginormous shout-out to all the effort and brilliant deals you curate! This is my second purchase from DesignCuts and I’m super thrilled! P.S. : Love the new changes! Thanks for the awesome feedback on the bundle- we are so pleased that you love it! Every deal i say this but i am convinced that Tom has magic powers when it comes to picking the right resources for each deal! Thanks so much for your continued support- we really appreciate it :). As a student I’m so happy with this site because you make these kind of thing so accessible to us. Most of us that are still starting to grab the feel of the work environment while studying are still relying on the free resources when we’re working on projects or doing freelance jobs. I got 5 friends on board to buy this deal with me and the funny part was that it only took a few photos of the content of the bundle for them to say YES automatically. In the end we each payed SO LITTLE for something as amazing as this bundle is. Thanks so much for the awesome feedback and for recommending us to your friends- we really appreciate you sharing the DC love. Great bundle, there is a ton of resources in there and I absolutely loved the tutorials so far. Looking forward to more to come soon. We are so happy to hear that you loved the bundle and the tutorials- it is so lovely to hear! Thanks for taking the time to give us feedback and rest assured- there is so much more to come :). I am actually not a designer, but I love using these packs in my own unique ways. The pieces that sold me were the Freelance Designer kit, THANK YOU GO MEDIA! Also, The Geometric Shapes pack. That one actually gave me a neat idea for a painting I want to try out. Thanks for the inspiration, Offset! Thanks for the comment and for the amazing feedback! It is fantastic to hear that even though you don’t class yourself as a designer that you are still utilising your resources. I love that the resources inspire you in different ways :). I would love to see what you are creating with your resources if you would like to share your work with us! Well I almost broke the magic mouse little button scrolling down through this. Oh my funky play with type got destroyed – BOO!!! Thanks so much for such awesome feedback! We are so pleased you love the bundle! Although the challenge has been accepted and Tom will definitely be trying to out do himself on future bundles :). We will have to pop rocks in your shoes to keep you from blowing away on us lol! An absolute bargain… didn’t take long to decide to buy. Thanks! We are so pleased to hear you are loving your bundle and that you are loving the price :). Please do feel free to share anything you create using your new resources- we would love to see what you’re working on! Thanks so much for your awesome feedback! we really appreciate it! I could definitely use a time machine myself- if you do come across one, please do send it my way lol! If you do use your resources to create something, I would love to see what you’re working on! Thanks for the comment- we are so pleased you are enjoying your bundle! We think its a nice mix of resources that will hopefully have a little something for everyone :). Seriously, this is a good mixed bundle. It has some beautiful script fonts, a great professional font, some shiny/glitter, a little watercolor…and after that, I keep looking at things that I never imagined I would need, personally, but the wheels in my mind kept turning and I realized I could definitely use them and they really sparked some creative ideas! Good to break out of the box and apparently looking at more unusual (TO ME) items, really did the trick. SO, thanks for the inspiration and tremendous bargain on these amazing resources. I absolutely love your comment- I totally do the same with movie quotes and I also like to soundtrack my life :). Thanks so much for the awesome feedback- this is what i love about our mixed bundles as you always see the few items that you definitely need/ will use straight away but once you start delving into the rest, you find a whole lot of other goodies that will hopefully spark the creative match even more :). OK for bonus points…Fools Rush In? Excellent- i’m taking those bonus points lol! I downloaded this design bundle but cant seem to unzip it successfully. Please help! I keep getting and error that says, “Unable to expand “The-Modern-Creative-Super-Bundle-COMPLETE.ZIP” into “Downloads”. (Error 1-Operation not permitted. )” Help me, oh Please oh please help me! Thanks. Thanks so much for the comment- I am so sorry to hear you are having an issue unzipping your bundle but i can definitely help with this! Looks fantastic! I also like the updated site. The cart would be especially handy if there’s multiple deals available, like there was last year when previous deals got re-run. Say, could the bells of sweet repeats be ringing again in the future? Thanks for the awesome feedback on the site- we love the new features! Good suggestion on the cart- i shall bring this up with Tom and ill also give hi a nudge about last years re- runs and see if i can get any hints off of him for something similar this year… fingers crossed! Is it just my eyes or are the previews for Food Typography really not that crisp and high-resolution delicious? You had me at the Freelance Survival Kit, btw. Thanks for commenting and bringing this to our attention. We are aware that they are not as sharp as they could be and we have been in touch with the designers for better quality preview images. We are so pleased that you are loving The Freelance Survival Kit- please do feel free to send over anything that you create- we would love to see it! This is my favourite from the last few bundles. Thanks for the awesome feedback- i am so pleased that you love this bundle enough to name it your favourite :). You are more than welcome- thank you for your continued support. It is truly appreciated! Thank you so much for the e-mail. Unfortunately I deleted it by mistake so I came back to thank you on here. The great deals aside, you’re a brilliant team who really care. I’ve always found you helpful when I’ve had any issues in the past. Many many thanks from me. You are more than welcome and please know we are always here to help or for a chat! We love a chat :). SORRY I sent it before finishing!! Download goes Ok until it reaches 200 Mb, then it stops for a while and displays: NETWORK ERROR. I´ve always been able to download bigger things, including your bundles, and I don’t know what’s the problem now. Thanks for coming back to me. I am so sorry to hear you are having an issue downloading your 22 Professional & Artistic Fonts. i have popped you an email about this which should get you sorted and working with your resources. I’ve come to really appreciate these mixed-theme sort of bundles. I’ll always find something I know I can use right away which makes it easy to justify buying (and buying and buying lol), but I ultimately come away with things I wouldn’t probably seek out otherwise. I feel like it gives me a great opportunity to play with some different styles and techniques I wouldn’t normally think to incorporate in my world. It’s nice to feel like I have a pass to take a break from my usual go-to options and explore! Thanks for the comment- i love the comparison of an open bar and fireworks as that is exactly how it felt when we were back up and running :). We really appreciate your awesome feedback- Tom definitely tries to combine a mixed bag of resources so there is something that suits everyones workload/ tastes and we love hearing that those resources that don’t automatically jump out at you still encourage you to experiment and that is exactly what we hope for :). OMG. Y’all had me at Freelance Survival Kit. SOLD. Right now. Thanks for the comment and the awesome feedback! We think you are pretty amazing over here for your support :). Please do feel free to share anything you create with us- i would love to see your work! You are amazing! I don’t miss any bundle! Your website is simply beautiful, the documents perfectly ordered and described, fast download… there are so many compliments for you guys!!!!! All stars from heaven for you. THIS DEAL IS IN$ANE!!! wow, #HumanSuperHeroes of the Creative/Design Whirld indeed! THNKS! for your total Uhmaazingnessss and talent$ and and generosity! Thank you so much for your amazing comment. I’m so pleased to hear you’re loving this bundle. It’s certainly one of our favourites as well. Excellent! I’m glad this bundle came at the right time for you. 🙂 What is it you’re working on? Just used a couple of the mock-ups to show a client how he could make his e-book look more appealing on his website. I have a recipe e-book project coming up that the food typography might be perfect for, and as for the rest of it, well it will definitely come in useful somewhere ;). Oh WOW. I so wish I had the Infographic kit a few months ago when I was tasked with creating some for work. LOVE the different, practical tools in this bundle (the freelancer kit, the cool backgrounds, the infographic kit), but am equally impressed with the more fun stuff that beg to be played with (food typography?! Mmmmm!). I agree with Serena–I am addicted to DesignCuts! Haha I absolutely agree. The Food typography is so cool, and I’m really looking forward to trying it. I’m so pleased to hear you’re loving this bundle, and I hope you’ll get lots and lots of use out of it. Wow. This is awesome. As a relatively new ‘cutter, I was beginning to think all you guys did was floral halftone photoshop effects, but this pack is just amazing. I am a designer with a super cutting edge aesthetic, and like-minded clients seem to find me – these resources are EXACTLY the kind of stuff I need. Thanks for listening!! I know you have a ton of customers to please but it’s always gratifying when surveys are actually paid attention to by companies. Looking forward to more and more modern, minimal resources!!! Also, if i could drop a major request here that is maybe a little too narrow for your audience – the most impossible thing to find is mockups of construction sites. Fences, scaffolding, large building ads, window decals, all that stuff would be just golden. Tom, can you accio that kind of stuff for us?!? You’re my last hope! Anyway, thanks again. This bundle completely rocks. Thanks so much for the kind words. I’m glad this bundle works well with your kind of design style. We’d been wanting to offer a more different, modern bundle for some time, but at the same time wanted to make it awesome, so it took some time to get the perfect resources together. There will of course be more modern resources in the future as well. Wow that really is a specific mockup request. I must admit I don’t think I’ve ever seen construction mockups myself. I’ll be sure to have a look around, and will get in touch if I find anything. In the meantime, I can only recommend trying Mockup Everything, which is a side branch of Go Media. On their website they have a section where you can request custom made mockups, and if you’re lucky they’re able to create something for you. have a look on their website, and see if they can help with this at all: http://mockupeverything.com/custom-mockup-templates/. Great Deal. I’m still downloading it! What is wrong with the files? That error message means the files were created in a newer version of PS and include features/functionality that CS6 doesn’t recognize. Some effects can be replicated using CS6 to get around this issue while others are exclusive to newer versions. Julie really said it all. if you could let me know which file, or files this is happening with, I’d also be more than happy to see if we can get a compatible version of those resources for you. Well. Tried to stay away from this toxic stuff, but yesterday I did it. Again. Instant buy, just to discover that this means a 16 GB download. Broken down to 43 pieces. What an ordeal with my slow land line … Next surprise: the former “grab the link and download in background using wget” didn’t work any more. Yikes. 43 manual downloads, book keeping of what was already dl’ed and such … Uargh. However, being pissed off I tried the “full size download” — 16 GB in one piece. In the past, the dl stopped after about an hour and wouldn’t continue, but what the heck, you have to try to know it, right? And guess what? Today in the morning 8 hours of the download were done, 3 more hours to go. As simple as that — perfect. Now there’s no way to keep from this toxic stuff anymore: great deals, perfect delivery, and of course super nice people. For the flat icons and line illustrations, will I get everything still in it’s original AI file? I’m asking this because I’m a motion designer and I would likt to animate all the lines in After Effects. Is this possible? Hey Sven, the good news is that yet, these packs include .AI versions, and so should be perfect for your needs. I hope that this helps, and we’d love to see your final project :). 😀 Thank you very much, Jessica! I’m glad you like the new modern resources. Do you have a favourite in this bundle? Nice bundle guys but there is a lot in this one i wont ever use so will be the first bundle in months that i will have to pass on .. Thank you for all your hard work … Ps the images now take forever to load now 😉 Hope you guys have a great week . Thanks so much for your feedback! I am really sorry that this bundle wasn’t to your taste- if you can let me know what resources you would like to see featured in future bundles, i can definitely look into sourcing them for you. Thanks for the heads up on the images- i will get this looked into! Tracey must be my bundle-twin on this one, because she said so nicely exactly what I’ve been thinking since this newest bundle came out. I’ve been struggling to convince myself to get this (yes, I am a shameless DesignCuts addict 😉 ) but aside from the cool Food Typography kit and the Isometric Mockups, everything else is not up my design alley. Have an awesome week (and I know the birthing pains of coming up with a perfectly-functioning site, so I am confident you’ll find a way to get the images to load a bit faster 😉 ). As always, love and hugs to the DesignCuts team! I totally agree with you- the design world is full of so many different people with varying tastes :). We try to ensure that each bundle has a little something for everyone’s tastes so I am sorry tp hear that this one wasnt for you! Please do let me know what you would like to see featured in future bundles so we can ensure that we are catering for your tastes as well! Sending you big love right back! I have been crossing my fingers for you guys to work again with Offset, and boom, you’ve done it. Again. Thanks for the comment- glad we could be of assistance :). How awesome are they? Some serious love being sent out to them! I keep saying that i think Tom is a total mind reader when it comes to the bundles!! Thanks so much for your comment and support- we really appreciate it! Although maybe pop some cushions down every other Tuesday to avoid any floor hitting injuries lol! What a perfect suggestion- it could be like a bonus pre- bundle launch- every other Monday get a cushion pattern to create some cushions to avoid any Tuesday launch day injuries lol! Quality typefaces, Flat Icons, Photoshop Actions, etc to prep me up! I don’t have much use for certain stuff, maybe futuristic isn’t my thing. I found the Info-graphic Tools and Mock-ups most useful and a great time saver. Oh and perhaps UI related stuff for Digital Applications. Always delighted to see design resources for professional use. I need more of those! Thanks so much for your feedback on the bundle! We are so please dto hear that you are finding this bundle useful for your professional work :). We really appreciate your suggestions as well and i will pass these on to the team to try and source them for you. Hopefully we can get some Outdoor Mock-ups sourced for a future bundle. If you have any other suggestions, please do let me know! I keep telling myself to stop spending money on these bundles, but then you go and top the previous one! I’m addicted to Design Cuts! Please do share anything you have created with us- we would love to see what you are working on! that was me short circuiting from the sheer awesomeness on one page. ya did it again. right when i have to leave the house, well i know what i’m doing later. and it may involve cancelling a date…. naah, that’s cwazytalk. but instead of going to see Ex Machina, maybe we could go to the computer and….. no that’s slightly cwazytalk. Not since Twin Peaks first aired do i find myself checking what day it is for the next event at DesignCuts, you’ve done it again, Tom, Matt, Darren, all the new peeps as well. Cheers, you guys, this is Awesomess Addiction, and I love it…. I love your comment- it has caused some chuckles from the team over here! We are so pleased that you are liking the bundle even if it did cause a temporary short circuit! We think it is pretty awesome so to know you do as well has made our day! I hope the date went well? Thanks so much for you comment! I love when we hear we have ticked some items off your wish list! Thats awesome news :). Thanks also for the feedback on the site- we are so happy to have it up and relaunched! If there is anything on your wish list that you would like us to try source for a future bundle, please do let me know! I really would like to see some diversity in tutorials. All of them right now are grungy and with lot’s of texture. You can see the same hand. Would love to see some diversity in tutorial that come with the bundles. Thanks for your comment and we are so pleased that you are loving your bundle! We appreciate your feedback on the tutorials as well- we will mention this to our tutorial designers! I hope this helps, and please don’t hesitate to contact me should you have any other questions. Thanks for coming back to me and for your kind words :). You are more than welcome and please do come back to me with any other suggestions- we love getting feedback! I discovered your deals few months ago, but never paid too much attention to it. Then suddenly a few weeks ago I got the newsletter and scrolled through the bundle and now I ask myself how could I ever stop to buy this nice bundles. And your help by questions or problems is great too, thanks for that. I have one question though, do you put designs that were already there before again in another bundle sometimes? I mean in the case one is missing a nice item? Thanks for your comment! We are so pleased that you came across us and that you are enjoying our bundles and assistance! Thanks for your question and please always ask any that you have! I can assure you that all our bundles are comprised of completely new resources, that have never been part of any other Design Cuts bundles in the past. Were you after a specific resource you had seen in a previous bundle? Yes, I was after the “Art Equipments Scene Generator V4” that was already in a bundle, I thought maybe it comes again. Thanks for your fast respond. We did indeed have an Art Equipment Scene Generator in our Gorgeous, Artistic Design Bundle, but it was actually Volume 3. We made sure to offer a different volume in our current bundle, in order to not double up on any of our resources. Thanks so much for the awesome comment! I think thats the best dilemma i have heard in a while :). Now this is a bundle I can use! Thanks for the comment! We are so happy to hear that you will get good use out of this bundle! Please do feel free to share anything you create using your resources with us, we would love to see your work! The way most incredible bundle so far! Wow- thanks for the stellar feedback! We are so pleased that you love your resources! Some of the files are missing … can’t open the zip… freelancer pack. Can you please check.. should I re download? Thanks for letting us know about this- we know that a few people have had this problem and our sincere apologies for this! Darren and Tom have been working their magic to get this fixed after the site relaunch. Can you try logging out completely and logging back in? This should refresh your download links and it seems to be working again for anyone who has had the same issue.Let me know if you need anymore help! For someone who is self taught and starting out to explore more of the business of design… This bundle is amazing. I love that you have a variety and I can use them for various projects and concepts. Love the site changes and the changes to the new pdf guide. Thanks for the feedback- we really appreciate it! We are so pleased that the bundle is helping you with your design and well done on being self taught! Please do feel free to share anything that you create using your new resources- we would love to see it! Just to let you know that the Complete Download is still not unzipping. I have tried 3 times after I logged off and on. Still no luck. Hey Denise. I’m sorry to hear you’re having some issues with your complete download option. Honestly, it’s so large that it may just be too much for your connection, which is why we’ve provided the split download parts to help make this bundle download more manageable. I’m emailing you now about this, and rest assured, we’ll get this working for you :). The download completes but the zip file does not expand. I have not had problems with the other bundle complete download. Maybe you could make a dropbox link? I could just download to my dropbox. I’m having the same problem. The “everything” file will download, but the zip file comes up with an error when it attempts to expand. I am so sorry that you are having an issue with your download! We are recommending that you log out of your account and log back in. This should refresh your download links which should get you back on track. Sorry about any inconvenience this may have caused but can you let me know that this is working ok for you? I’ve gone ahead and moved the location of the unzipping to my C:\ directory to prevent any more of the same errors. I’m not sure what program you’re using to unzip, but if you’re still having issues this could be the cause of it! Thanks for coming back to Brandi about this! i am so sorry to hear that you had a problem with your bundle but awesome that it is working for you now! We are continually trying to keep the file names as short as possible to avoid these problems so apologies if they are still triggering issues for you! That is great news about the download and i am so pleased that you are loving your new bundle. Hopefully as you said the Lunar, Molecule will bring out your inner crazy and please do feel free to share anything that you create! Thanks for the feedback on our responses- we really try and get back to absolutely everyone as we just feel so privileged that people take the time to reach out to us so we want to do the same :). We do have caching on our website but we will definitely get the techies to check out the images and see if we can speed that up! Even though there are many things in this deal I will never use, the stuff I will use is worth more then $29. Awesome. Can you please put together another vintage/retro deal. I was late to the party for the other ones. Thanks for your feedback on our latest offering! We are so pleased that you like the bundle and hopefully you will get to utilise most of your bundle! If there are any specific resources you would like to see featured in a vintage bundle, please do let me know! Hey guys! This looks absolutely wonderful! Can’t wait to grab it when I get home :). Also, I didn’t get this deal as an email (but saw the update earlier and am seeing the deal now). Are we all still on the email list? Super worried I’d miss something. Thank you! Thanks for your comment! We are so pleased to hear that you love the deal :). No need to panic, we hadn’t yet rolled out the emails about this deal as we wanted to double check everything was working before we sent out our usual update so rest assured, you haven’t missed out on anything! Thanks for contacting me about this. I am so sorry that you are having an issue with your bundle- we think this may have been an issue with the changeover to our relaunched website. Can you try logging out of your account and logging back in- this seems to have helped anyone who had the same issue? If not, let me know and i can get this sorted for you! Thanks so much for the comment! We love that this bundle was an instant buy for you and we hope that you get loads of use out of them! If you do create something using your new resources, please do feel free to share them! Great deal guys – anyone have trouble unzipping full download? Tried to unzip to several locations with no luck. Thanks so much! I’m having the same problem. Anyone know what the problem is? Hey Brandi and David – we’re so sorry about this. Looks like it was a small bug with the new site, which Darren was able to fix using his ninja like coding skills! ;). I’m personally emailing everyone who has grabbed the bundle already to update them. If you logout of your DC account, and log back in, the download links should now work correctly for you. Sorry about the inconvenience guys, and thanks for being so patient and understanding :). Yay! I am a first time buyer and I am happy to know it might not be operator error after all!! I will try what you suggested. I am so excited to have found you guys. How did you get on with Tom’s suggestion? Please do let me know that everything is working ok for you! A huge welcome to Dc from the entire team over here! I have a Macbook Yosemite if this helps. Thanks so much for commenting! I am so sorry you havent been able to unzip your bundle. I have emailed you and rest assured we will get you sorted! I had the same problem with an iMac on Yosemite. It seems to be a problem with permissions. I ended up being able to unzip it with Stuffit Expander. Another option I found when searching was to open the Terminal utility and after it opens type: unzip (and hit spacebar), then just drag the file right into Terminal, press Enter and it should work. This bypasses the permissions issue and allows it to unzip. Thanks for coming back to Caroline- we really appreciate your suggestion! We recommend The Unarchiver ourselves for unzipping so good minds think alike! I could not reply you on your last message, so I do it here. I already downloaded every file seperatly now and it worked. Next time I load a bundle I will try to load it completely and unzip it again with your help. Thats great news!I am so glad it worked for you :). Please do let me know if you have any other problems- I am always here to help! Very nice tweaks to the site! I am so buying this bundle on Friday! Thanks Elijah, we’re so happy you’re liking them! 🙂 I hope that you love your new bundle, come Friday, and please do let me know if I can help with anything. Thanks so much for the lovely feedback and amazing 5 star review Anne :). We put a ton of time and effort into compiling this collection for Design Cutters, and I’m so glad that you’re enjoying it so much. I’d love to see what you create with your new artistic goodies! This was an easy purchase (as most of them are) due it’s diversity. There’s so many ways to create and present artwork. I’m liking the subtle, but useful tweaks to the site, too. We definitely focused on variety as well as quality with this bundle, and I’m so glad that resonated with you. Please do let me know how you get on with using your new resources. There are lots of great new tweaks with the new site, and many more to come. We’ll be posting a full announcement a little later this week. Thanks for the welcome- we are very happy to be back! We are so pleased to hear that you are enjoying the tweaks to the site! Thanks for the lovely feedback as well on the bundle- we wanted to come back with a bang! Well worth waiting an extra week! Enjoying the redesign of the site as well. Thanks so much Louis! We’re so glad you’re enjoying your new bundle, and look out for a big blog post this week announcing all the new features with the new site :). Thanks so much for commenting! We are so glad you found us so a massive welcome from the entire team over here! I’m afraid that The Modern Creative Design deal is now well and truly finished, so I won’t be able to set you up with this. However, sometimes we do re-run an older deal as a special bonus, in conjunction with a new deal. The best way to ensure that you don’t miss a deal is to join our free newsletter, by signing up at http://www.designcuts.com. I’ve added you to the master list Cinthy and I’ll be sure to drop you an email if this bundle is live again. This one was super popular and i am hopeful that it will come round again soon! No problem at all, Katherine. I’ve just added you to our master list, and we’ll be in touch as soon as it’s available again. Not a problem at all- i have popped you on the master list and will be in touch if it goes live :). I hope this helps, and please don’t hesitate to contact me should you have any other questions. Can you please include me as well? Really bummed that I missed this… what a great deal! Thank you so much for your lovely comment and I am so sorry that you missed out on this one! As we have recently launched our new marketplace, we will no longer be featuring our older bundles as re-runs in conjunction with our new bundles. This means we are no longer using the master list I am afraid, i’m so sorry to disappoint you! If you aren’t already aware Stacey, our new marketplace will allow you to grab some of the most popular products from past bundles as a kind of second chance if you missed them the first time around, so rest assured there is still an option to purchase some of the most popular items from our past deals :). Thanks so much for the comment! We are so pleased to hear you are enjoying the site relaunch! Hopefully it will make everyones experience on the website way more user friendly!